Without a doubt, this is everybody’s favorite bean salad and certainly the one most often made in this country. 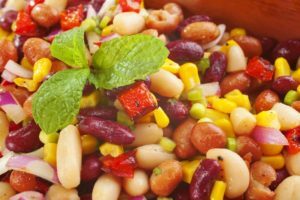 Still a hit for picnics and casual party buffets, our three bean salad recipe features our delicious pinto beans and should be made the day before for the best flavor. Pinto beans are great for lowering cholesterol, preventing heart disease and lowering blood pressure. 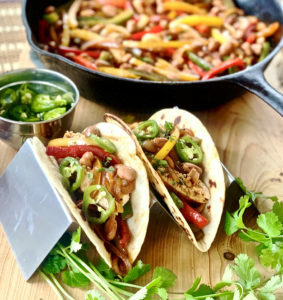 This recipe calls for not one, but three nutrition-packed beans that will fill you up and fuel your body. 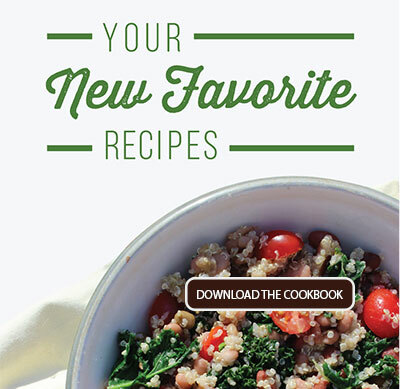 The salad dressing is guilt-free and adds an extra kick of flavor. Celery seed is used to add flavor and benefit the body, acting as a diuretic, celery salt helps rid the body of excess water and toxins. Easy to make and even easier to enjoy, the health benefits and fresh taste makes this a summer favorite for any picnic or pitch-in. 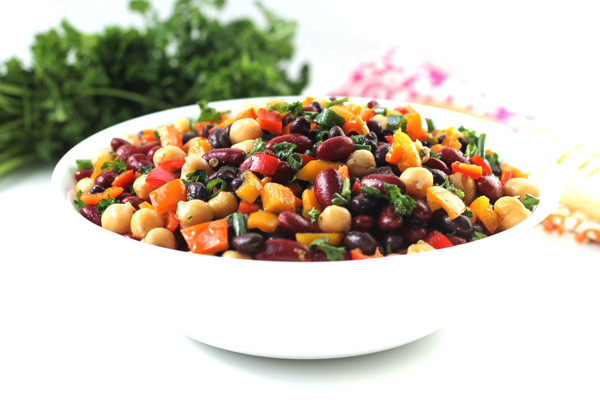 Tip: For best results mix the beans, vegetables and dressing in a large bowl and chill in the refrigerator overnight. The outcome will be worth the wait. 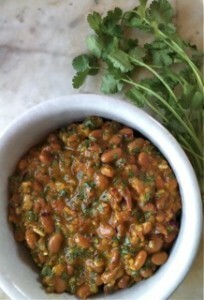 Allowing the salad to marinate results in a better texture and beans that carry the full flavor of the dressing. Gently toss together all of the beans. Toss in the peppers, onion and parsley. In a small non-reactive pot, heat together the vinegar and sugar, stirring, until sugar is completely dissolved. Allow to cool completely. In a small bowl whisk all of the dressing ingredients together. Pour the dressing over the bean mixture, gently tossing to mix well. Cover and refrigerate overnight. Toss before serving. Serve on a crisp lettuce leaf.